Why is drifting a solo sport, anyway? Here's an idea for something awesome: entire teams of people, each driving a BMW M235i, compete to see who can do the most elaborate synchronized drifting routines. It's like synchronized swimming, except on land and with turbos. I'd watch that, wouldn't you? This video from BMW, "The Epic Driftmob," makes me wish it were a real thing. 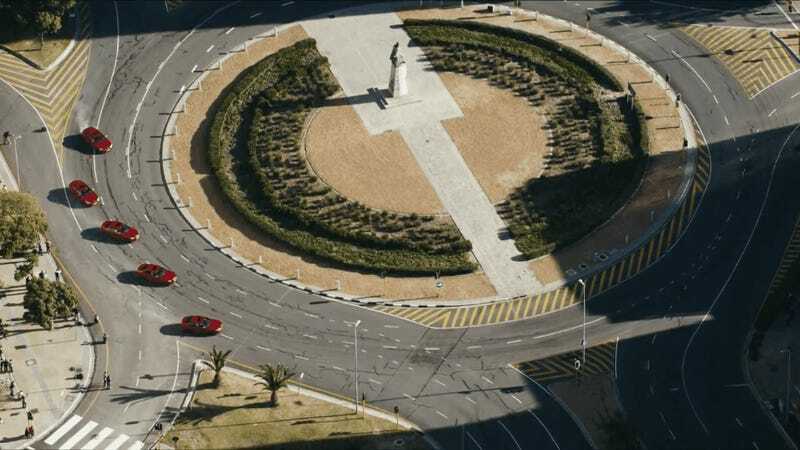 To make it they took five M235is and let pro drivers like Rhys Millen and Dai Yoshihara have a little fun on a closed roundabout in Cape Town. Epic indeed. Anyone else wanna try this with me? I'm game if you are. Here's the behind the scenes video if you're curious. These guys make it look easy, but then again, that's their job.